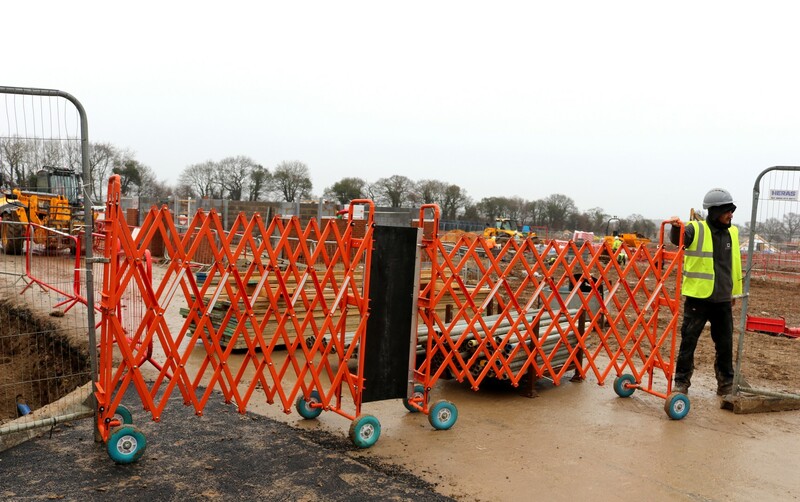 The Scissorgate is used to zone off areas quickly and with ease to protect site personnel and the public from potential dangers. It has a robust design and multiple Scissorgates can be securely joined by bolts, chains or using the Scissorgate Link. It comes supplied with punctureless tyres to allow good mobility and easy movement across any terrain. The Scissorgate is no push over and can withstand strong lateral force enhancing workzone safety. The concertina barrier extends to 2 metres and can retract for compact storage and simple transit.